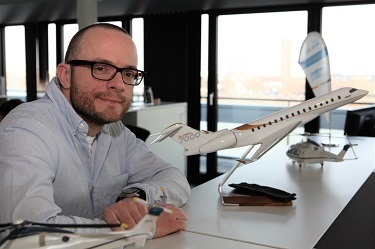 Simpler and better rules for GA pilot training: An interview with EASA flight crew licensing expert Christian Kucher. In order to create a new framework for GA pilot training, Christian initially had to review many comments EASA had received from industry and Member States on a first draft. He then proceeded to lead stakeholder workshops and working group discussions. Christian also was the one who then put it all together and rewrote the existing draft to become Part-DTO, based on inputs from industry, associations, national authorities and external as well as EASA experts. Here he talks about this new rule – Part-DTO. What is (Part-)DTO? Can you explain the concept of Declared Training Organisation? DTO - Declared Training Organisation - describes a new type of pilot training organisation for providing training to leisure pilots for aeroplanes, helicopters, sailplanes and balloons. In the context of EASA’s General Aviation (GA) Road Map and its objective to develop simpler, lighter and better rules for general aviation, the requirements of the new Part-DTO (Annex VIII to Regulation (EU) No 1178/2011) have been designed as a simple and concise regulatory framework, proportionate to the general aviation (GA) training domain. We already had rules for flying schools. So, why was Part-DTO introduced? The so far existing rules in Regulation (EU) No 1178/2011 (the Aircrew Regulation), while being suitable for professional flight training organisations providing training for obtaining commercial pilot licences, had been identified to be too burdensome for training organisations providing training only for non-commercial pilot licences. Annex VII (Part-ORA) to the Aircrew Regulation requires applicants for an ATO (Approved Training Organisation) certificate to undergo a comprehensive certification process during which detailed compliance with all applicable requirements needs to be demonstrated to the competent authority. The applicant also needs to develop and present a series of documents (operations manual, training manuals for each training course) and to set up a management system, including safety management and compliance monitoring functions. All of these demanding elements are justified when we talk about training for professional pilots who seek to work in commercial air transport, but for general aviation activities, for leisure flying, there was a need to go for simpler solutions. What are the main alleviations in the new Part-DTO? What are the differences between Part-DTO and Part-ORA? While ATOs in accordance with the requirements of Part-ORA need to undergo the above described certification process, DTOs simply need to send a declaration to the competent authority. After sending this declaration, DTOs – on their own responsibility – can immediately start providing training, with no need to undergo a certification process. This significantly lowers the administrative and financial burden for setting up a GA training organisation. There is no need to have an operations or training manual in place, just a document describing the training provided (training programme) needs to be attached to the declaration. Organisational requirements like those on personnel or measures for managing both safe operation and compliance with all applicable requirements have been simplified and tailored to GA training activities. In parallel, performance-based and flexible oversight requirements have been put in place in order to enable competent authorities to exercise proportionate oversight. All in all, the new Part-DTO is expected to make life significantly easier for general aviation training providers. When will Part-DTO enter in force and be available? Part-DTO has already been published on 13 August 2018 and has entered into force on 2 September 2018. Existing registered facilities (RFs according to JAR-FCL) need to establish full compliance with Part-DTO and send a declaration to the competent authority until 8 April 2019. Provided that a Member State has made use of the updated opt-out provisions (refer to Commission Regulation (EU) 2018/1119), existing national training organisations for balloons and sailplanes can continue to operate under national regulations until 8 April 2020.